Ever dreamed of joining the ranks of people who have completed novels sitting on their hard drives? Now you can, thanks to this simple, easy-to-follow flowchart I have created to share my wisdom with the world. – Daffodils. Haven’t seen many so far this year, but hey, that just makes them more welcome. I’m with Wordsworth on the joy of this simple flower: that bright golden colour never fails to cheer me up. I always think of them as little trumpets, heralding the spring and the return of warmth and sunshine to the land. – Baths. There’s nothing like sinking into a deep, hot bath full of scented bubbles and picking up a good book (trying not to drop it in the water…). The perfect way to relax and spend some quality time with myself. Glass of wine optional. – Catching up with old friends. Specifically, that moment when I’m talking with someone I haven’t seen in a long while, and I realise that, however long it’s been, we can still pick up just where we left off. – Name coincidences. The judge called Justice. The marine biologist called Dr Fish. Examples are everywhere, and they never cease to amuse. Richard Wiseman, in his book ‘Quirkology’, discusses the evidence that there is more than simple coincidence behind these apt names, and suggests that people may subconsciously seek out lines of work which remind them of their favourite person. He concludes: ‘As a professor of psychology called Wiseman, I am in no position to be sceptical about the theory.’ By far the best example is the couple whose case led the US Supreme Court to declare as unconstitutional any laws against interracial marriage. Their names: Richard and Mildred Loving. Which meant that the court case they fought to prove that their marriage was legal was: Loving vs the State of Virginia. This fact makes me happy. 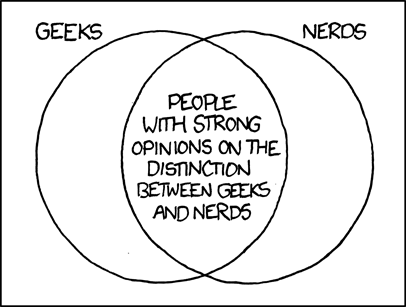 – Humorous Venn diagrams. Don’t ask me why, they just tickle me. – Wordflow. A new word I have just made up to describe the sensation when I sit down to write and I’m not sure exactly what I’m going to write but then when I start writing the words just start flowing out of my pen (okay usually keyboard but pen sounds more poetic) and ideas keep coming faster than I can get them down and I have to put little notes all over the place to capture them before they fly away and I know I’m going to have to come back and edit later but I also know that I’m writing good stuff and the best thing about it is that writing is always available even when I can’t see any daffodils or have a hot bath or catch up with friends or afford to eat at a restaurant where they give you a tiny amount of food for free then charge you £12 for a gin and tonic. Phew.